Creative Bioarray provides custom tissue arrays to help scientists efficiently analyze gene and protein expressions in multiple tissue samples. 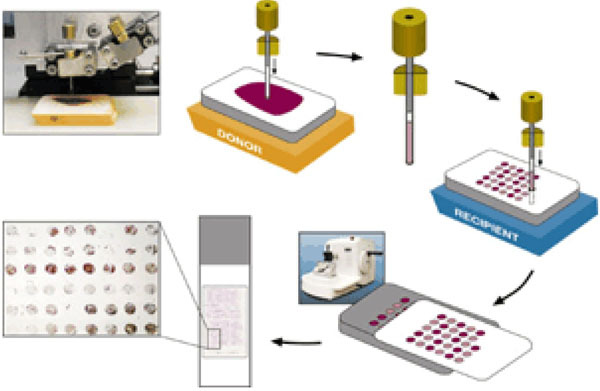 Tissue microarray is a high-throughput technique that allows rapid gene expression and copy-number surveys of large numbers of different tissue specimens. In addition, it represents a technical revolution for highly effective use of human tissue specimens, which are both difficult and expensive to obtain in enough amount and case number.